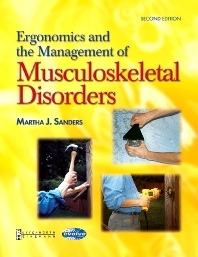 This comprehensive resource provides a strong medical, ergonomic, and industrial foundation for understanding and managing musculoskeletal disorders (MSDs) in business and industry. Addressing multiple perspectives — including the individual worker, insurance companies, regulatory agencies, industry, and the medical community, this practical text provides an integrated approach to understanding and management of these conditions. Well-referenced and highly organized, it follows a logical progression that moves from presenting a broad background on the historical and present day phenomena of MSDs, to explanation of the multiple risk factors involved with MSDs, including physiologic, biomechanical, and psychosocial factors. A strong physiologic, biomechanical, and psychological basis for understanding work-related MSDs is provided. A thorough review of medical conditions associated with work-related MSDs is included because they directly affect analysis, assessment, and treatment of MSDs. Actual work-related MSD programs for high-risk industries and populations are presented. A sophisticated outcome assessment model for work-related MSDs provides a practical approach for therapists to use when assessing patients. Content is well organized, beginning with a discussion of the various professional perspectives of those involved with treating work-related MSDs, then addressing the medical diagnosis and treatment, the ergonomic analysis and intervention, and cost-benefit analyses. Extensive referencing throughout provides an evidence-based approach for analysis and treatment of work-related MSDs. A comprehensive discussion is included on the risk factors that contribute to work-related MSDs. A panel of highly recognizable contributors provides expertise so readers can get first hand knowledge from the pros. Content covers home and leisure as well as work-related MSDs to help readers understand how to treat special situations, such as geriatrics, children, and the home. The structure of the book is set up in a logical and easy-to-read manner that offers a client-centered approach as well as a systems perspective on the management of MSDs using a variety of modalities.